These 90-minute programs focus on a special animal or area of the Zoo, and present opportunities for adult/child pairs to make discoveries together. 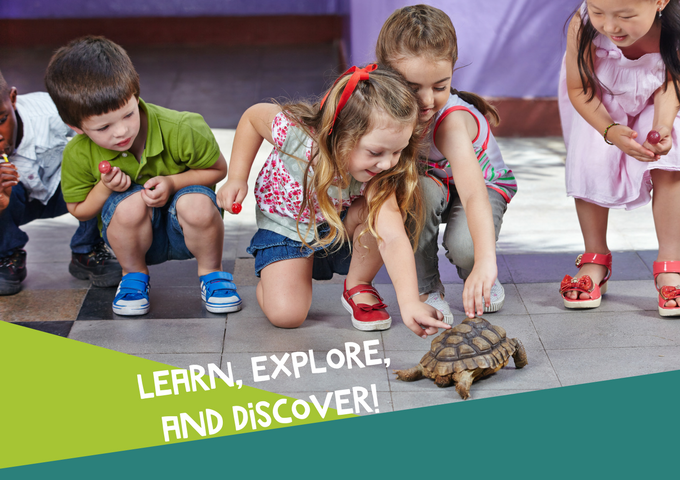 Programs include a lesson, activity, a craft, an up-close encounter with one of our education animals, and a walk to an exhibit. Please note: This program does not include direct interaction with exhibit animals. Class Size: 12 max. One adult must accompany each child. We cannot accommodate additional adults or siblings due to space limitations. Please note: This program does not include direct interaction with exhibit animals. Pre-registration is required and ends 48 hours prior to the program. Refunds are only given if the Zoo cancels the program. We must receive requests to transfer the date of your registration at least 48 hours in advance. If there are any changes to your registration, there is a $5 fee. A minimum of five program participants is required to run a class. Participants will be notified one week before the scheduled class if a class has to be cancelled due to low enrollment, so enroll early! We strongly recommend you register online for your best chance at securing the session you desire. If you prefer, print out our mail-in registration form and send it to the Zoo using the instructions provided on the form.